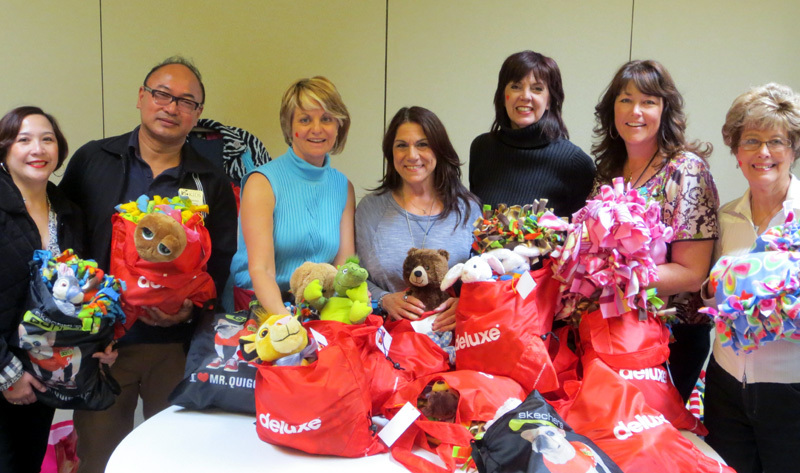 Soroptimist International Greater Santa Clarita’s Day of Service on Feb. 24 on behalf of Mending Kids International was fun and rewarding. 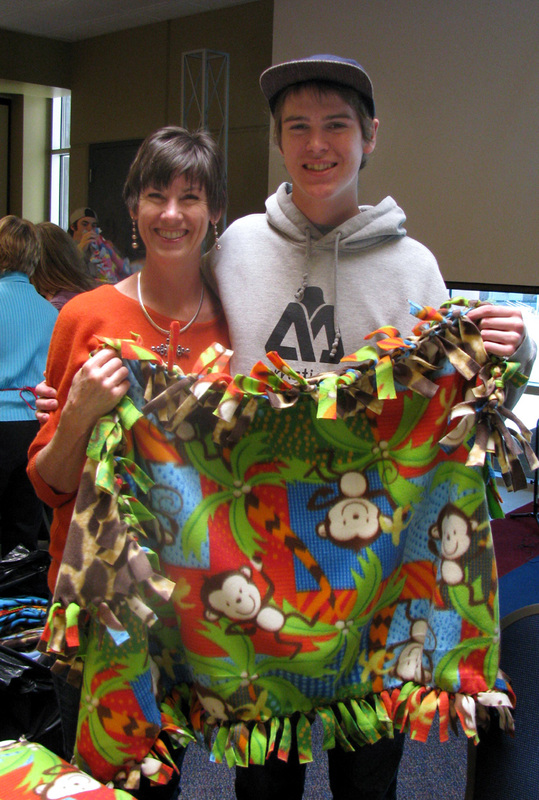 Soroptimists, along with a number of Zonta sisters, members of host North Park Church, and other friends teamed to create 100 hand-cut and tied fleece comfort blankets. 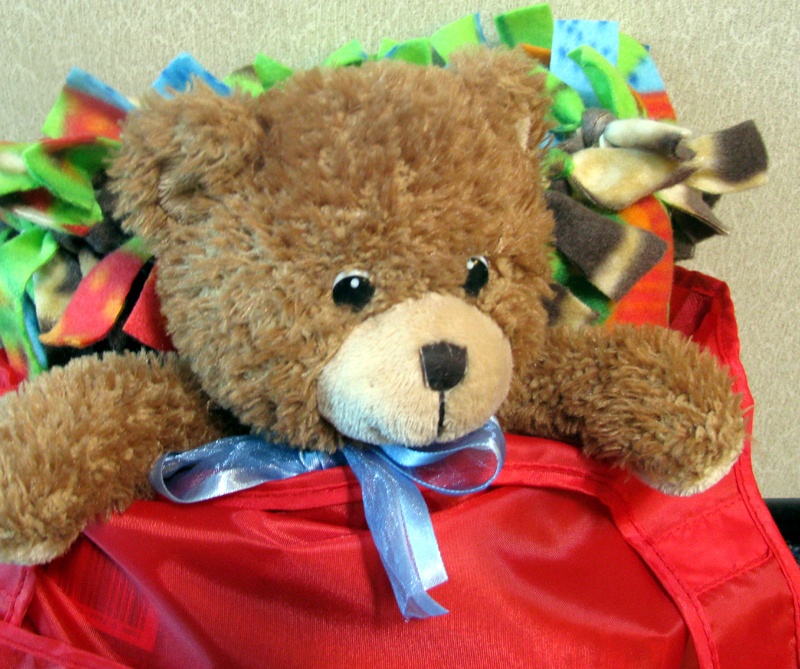 They then bundled them with stuffed animals and other goodies into “patient bags” for children receiving Mending Kids surgical treatment in locations such as Haiti, Christmas Island, and Ethiopia. They also created care-packages for medical teams and “party bags” to celebrate successful missions. Soroptimist International (www.sigscv.org) is an international volunteer service organization founded in 1921 for business and professional women of all ages, cultures and ethnic groups. The mission of this organization is to improve the lives of women and girls in Santa Clarita Valley and throughout the world.